Are you looking for a different and fun favor for your next event? 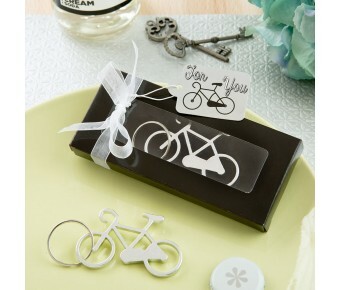 This cute bicycle key charm and bottle opener makes a great choice! 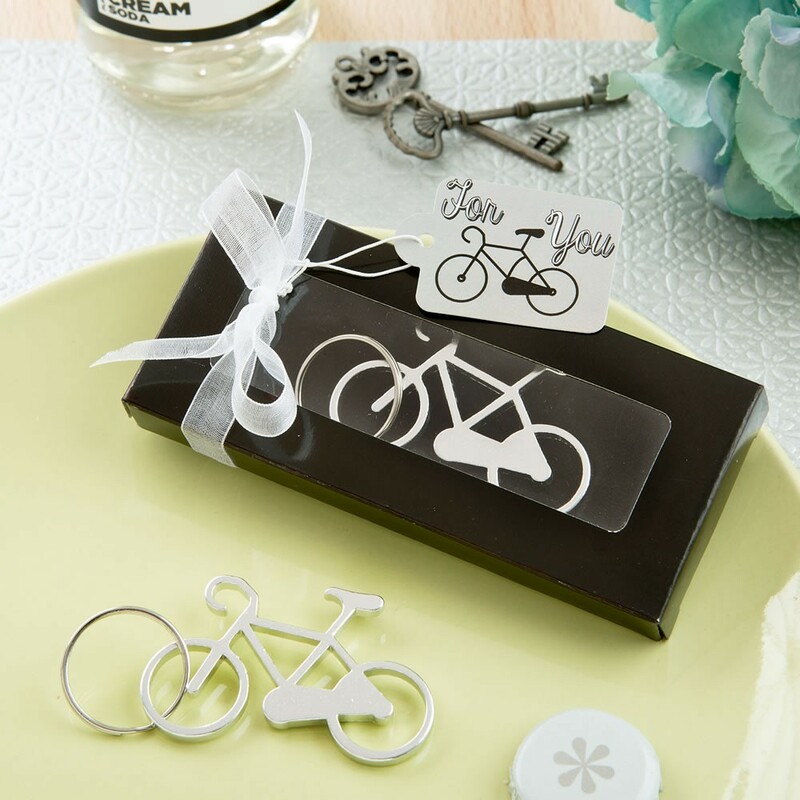 This beautifully packaged favor will thrill your guests and will add a touch of fun to your event tables! Size is 2 1/4" x 1 1/2"
Size with ring is 2 1/2"
Choose a fun and different favor for your next event and thrill your guests!